We design architecture to improve the quality of life at a daily, personal level, foster productivity, and thereby enhance the communities we live, work, and play in. To meet the needs of our client's vision, we anticipate and adjust, re-evaluate and respond. We see good design as an impactful, transformational result stemming from intense collaboration, communication, and creativity. Inclusive design is good design. 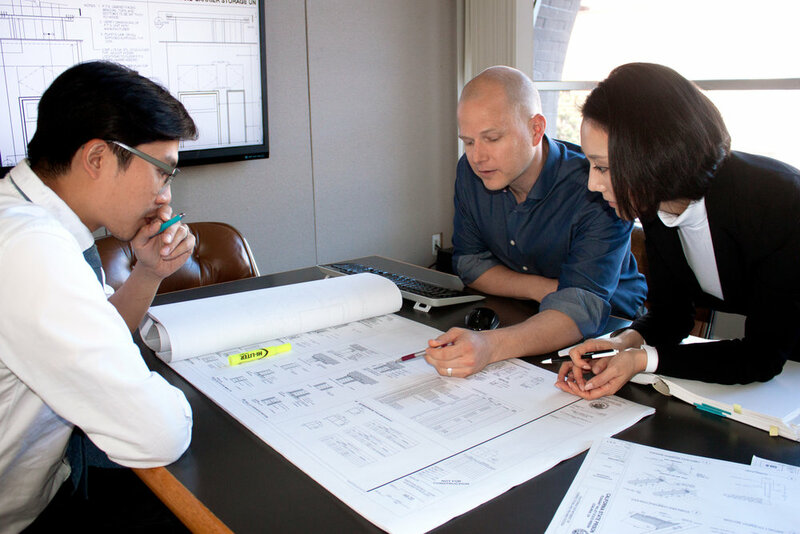 Projects are designed for people, so we emphasize dialogue throughout all project phases. Our relationship with our clients is built upon a collaborative process which aims to develop solutions sensitive to a project's aesthetic, operational, and fiscal needs. Designing for the needs of tomorrow, we anticipate industry evolution, determine spatial balances, plan for efficiency, and distill options. We work on complex projects, but we do not design complicated spaces. Project planning is the practice of assessing talent and building teams. Every building is unique and so are the people who create them. We know that not one of us holds all the answers in this interdisciplinary practice, so we bring together teams of specialists to generate the optimal solution. Expertise is acquired through experience and research. Considering our prior work and examining the works of others provides a knowledge base for developing solutions-based thinking. Expertise is active. It is fostered through a desire for betterment and passion for solving problems. How Do We Bring Value To Our Clients? We foster a culture of innovation by encouraging creative minds to explore ideas using solutions-based thinking, understanding that the process to innovate is collaborative in both effort and expertise. We deliver solutions with the knowledge that they are responses to multiple, inter-related entities which may include business operations, industry standards, patterns of use, projections, and best management practices. The projects we manage for our clients are designed to provide places to enhance our humanity and to preserve our planet's natural resources for future generations. Our work requires us to master a language which is both dimensional and sensory; requiring proficiency in all forms imaginable. 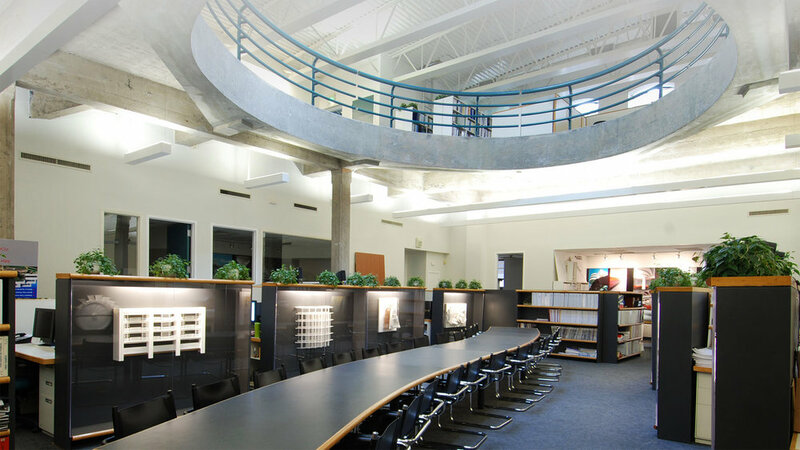 Our services in architecture, interior design, and planning continue to produce a range of projects spanning multiple industries with a commitment to excellence through design, collaboration, and sustainable practices. In 1982, founding partners David Fong and Chiu Lin Tse-Chan established Fong & Chan Architects with four founding principles: create great architecture, serve the client, give back to the community, and raise the status of the architect in society. The firm's first commission was for the San Francisco International Airport, a $150 million project consisting of master planning, preliminary design, schematic design, design guidelines, and cost estimating. The success of this project paved the way for other leading projects at FCA, exemplifying the rewards of hard work, quality services, and enduring patience. Our senior staff upholds the firm's belief in fostering the professional growth of well-rounded young professionals. We ensure that our junior staff are fully immersed in all practice aspects, from preliminary design to project closeout. Principals communicate directly with junior staff to reinforce the practice of peer-to-peer working relationships. The office also supports accreditation testing, licensing exams, and continuing education. Our office is an inclusive and diverse environment where all are welcome. Team-building events, including an annual trip to Tahoe and company barbecue occur throughout the year. On a day to day basis, weekly breakfast discussions, monthly happy hours, and regular Lunch & Learn seminars give us an opportunity to share perspectives and connect beyond architecture. FCA holds careers for those truly seeking to learn for a lifetime, employing talented individuals committed to professional growth and team-oriented design. Our approach to project management allows you to gain exposure to a variety of project facets. Our staff appreciates the practice of architecture while acquiring proficiency in all its forms. In addition to providing you the opportunity to contribute to industry-changing projects, FCA iffers a generous compensation and bonus package. We offer bi-annual bonus opportunities and competitive benefits that recognize the value and service of our employees. Below is a brief list of benefits that we are proud provide. Every year, we provide opportunities for interns from domestically and internationally-acclaimed schools of architecture and design to join us and learn the practice in a fully-immersed setting. We provide a path to career growth within the firm by encouraging staff to seek acceditation. Interns who have worked with us have often continued their career at FCA, advancing to levels of associate and principal. Whether you are a student, a recent graduate, or simply hold an interest in becoming part of our team, we would like to hear from you. Contact us for open opportunities, or send in your resume and cover letter, and schedule an appointment with us.